Image Films was formed in the 1970’s by a trio of cine enthusiasts. The name is derived from their initials, Ian, Mike And John Enterprises. The Logo, a Penrose Triangle, represents the three founders and the optical illusion that is film making. Originally Image Films used Super 8mm cine to make their epic movies, “The Horror of Letsby Avenue”, “Arthrug of the Britons”, “The Stone of Theln” and “To have and To Hold”. 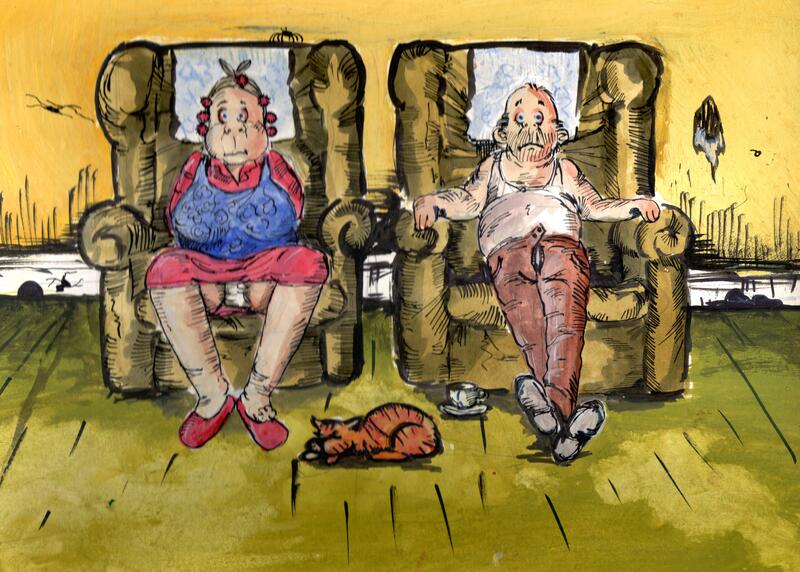 They also had a go at animation, “Self Portrait” and “An Evening In” being two of their award winning creations. Some of these can be viewed in Bradwell’s Bioscope. Since the early years of the 19th Century, when photography was invented, the scenes portrayed were staged for the camera and did not realistically depict everyday life. But, when movies began to appear in the 1890s a very exciting era was born. Images, although primitive by today’s standards, began to record life as it really was. This period was vividly portrayed in the recent TV series featuring the Mitchell and Kenyon collection of over 800 films that were commissioned between 1900 and 1913 by touring showmen with their Bioscope Booths in the days before cinemas. How many more collections of film are undiscovered? In 1985 the Isle of Wight Cine Club decided to put on a show of early Isle of Wight film footage to celebrate the clubs 40th anniversary and in doing so the seeds were sown for the foundation of an Island Film Archive. 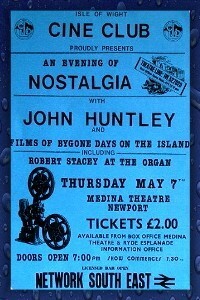 This first show proved to be an almost embarrassing success, being staged at Newport’s Apollo Theatre and introduced by the celebrated presenter of Archive programmes, John Huntley. This was the start of a series of memorable shows presented by the club under the title of “An Evening of Nostalgia” and John Huntley went on to present all 33 of the succeeding shows. The second show, and all that followed were presented at the much larger Medina Theatre on the outskirts of Newport, the 420 seat capacity becoming very necessary. Following shows included various themes, drawing a good deal from “The Huntley Archives” (the largest archive of transport films in the world). A few years later in 1987 the Isle of Wight Film Archive separated from the Cine Club and became a body in its own right and trustees were appointed. The tasks and objectives were to broaden out the collection of films that were now emerging from all sorts of sources. The Island at that time, strange as it may seem, did not have a Historical Film body at all. This had now been rectified and films had to be restored from old, often volatile, 35mm nitrate stock as well as 9.5mm, 8mm and 16mm film footage. Once restored the films were printed onto 16mm safety film for presentation at the Theatre. For the Archive to continue to develop, the revenue from the shows became increasingly essential, preserving old film is very expensive. In later years John Huntley was unable to continue his appearances on the Island due to his age and health. 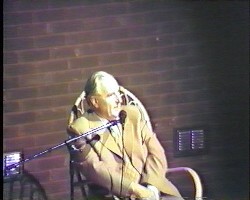 He sadly passed away in 2003 and with Johns death a phase in the Archive closed. With rising costs and no presenter the trustees stated to turn their attention to the next exciting phase, DVD production. The Archive has about 100 hours of Island films in the collection, the earliest being “Urbanora Newsreels” of Cowes and Ryde in 1906 and 1910. These were donated by John Huntley. Some of the gems in the collection are currently available on DVD, however some items like “Needles Point The Way” (a Look At Life film) are subject to copyright conditions and may only be shown in the 16mm film format for public performances. A small number of titles are not the property of the Archive, but can be made available for screening. The bulk of the Archive will eventually be available on DVD; all transfer and studio work, produced with the latest computer technology, is carried out on the Island. All design work, both in the film production and packaging, is the work of the two enthusiastic trustees, John Bartlett and Bob Ennis. This helps to keep costs down and means there is more money for future film preservation. The Archive enjoys a very good relationship with both the BBC and Meridian Broadcasting. In 2003 BBC South Today had commissioned a programme about the childhood days of Philip Norman and his life with his parents who managed all the entertainment and catering on Ryde Pier. 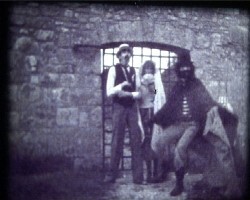 The programme was almost a non-starter due to lack of film material. The Isle of Wight Film Archive was able to come to the rescue and provided almost all of the historical film footage required. The film was not only screened on BBC1, but also repeated on BBC2, quite a milestone for the Archive. More recently, Meridian Broadcasting gave the Archive some 50 library recordings of the Island dating back to the 1980s. Not quite archive material yet, but today’s everyday news shot is tomorrows history. With the support of Islanders the trustees will continue to make available on DVD as much as possible of the wonderful collection of Island Films. Released so far by Image Films are the following titles,”Those Were The Days”, “England’s Eden”, “The Mellanby Collection”, “Every Week Come Tuesday”, “Carnival Cavalcade”, “One Week In August”, “Along The Shore”, “An Island Scrapbook”, “Yesterday’s Island”, “Royal Wight”, “Ventnor Scrapbook”, “Wight Walks”, “RYDE 125” and “Technicolor Wight” , “Transport Of Delights” and coming soon “Ryde Remembered”. All available from selected outlets around the Island as well as this website. If you would like to purchase direct please visit our DVD product page where you can use credit/debit cards or paypal to buy. (Visit Shop) Prices include postage by 2nd class post within UK. Outside of UK please contact us before ordering.